Personalised Mrs Brown's Boys Mug. 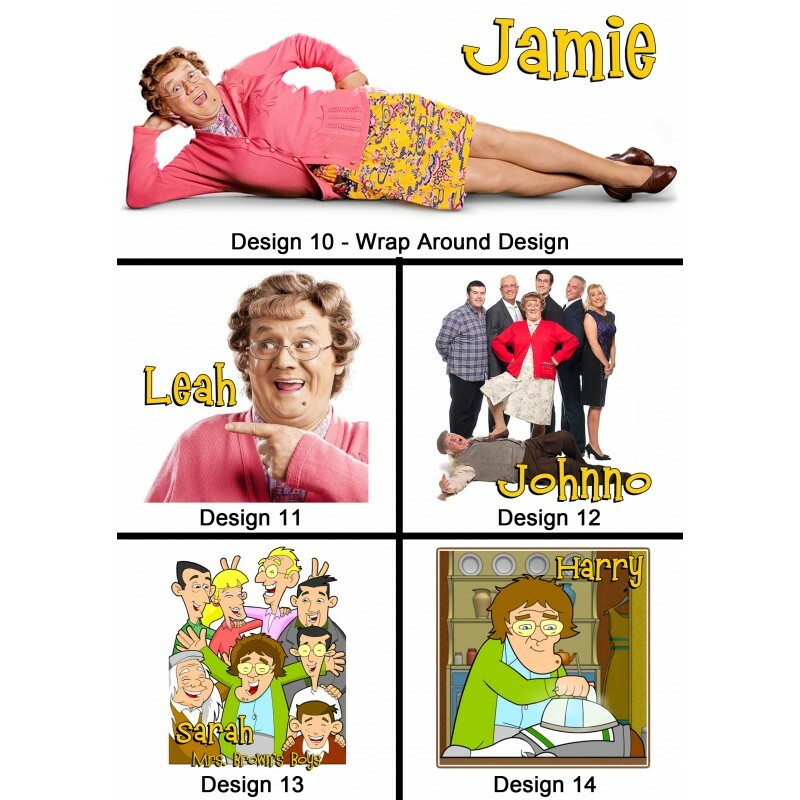 Your choice of design and name! 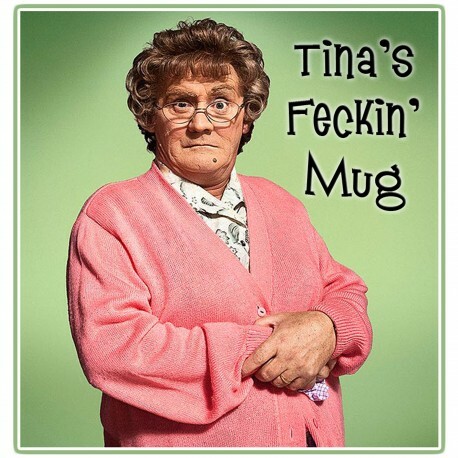 These Ceramic Mrs Brown's Boys mugs will be a big hit with any fan, or yourself. Change the wording or name to anything you want! 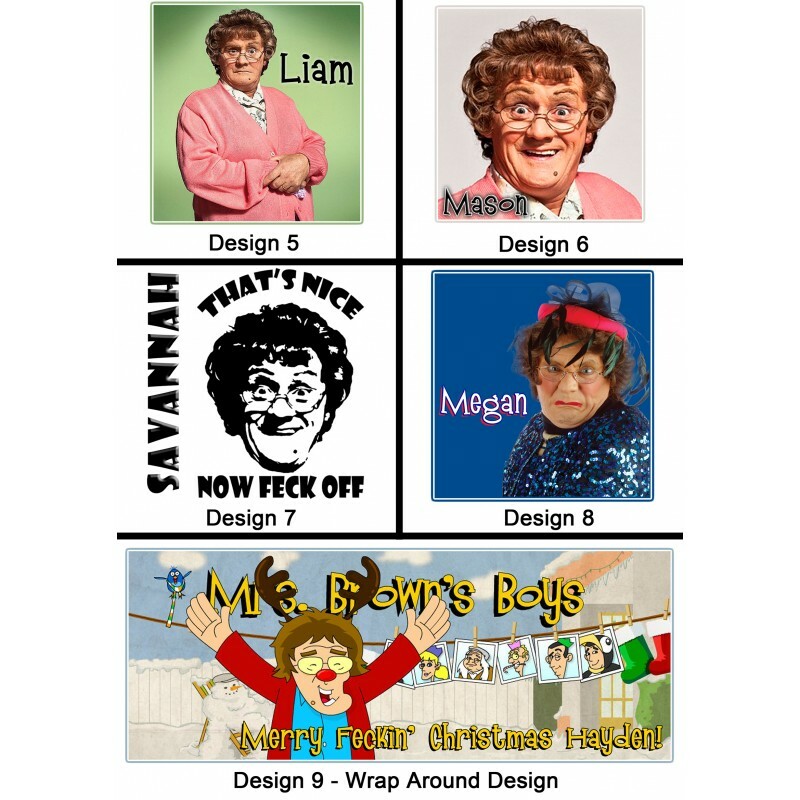 Designs 1, 4, 9 & 10 are Wrap around designs and will take up the whole mug. Or a longer message on one side with a design on the other - Anything you want! 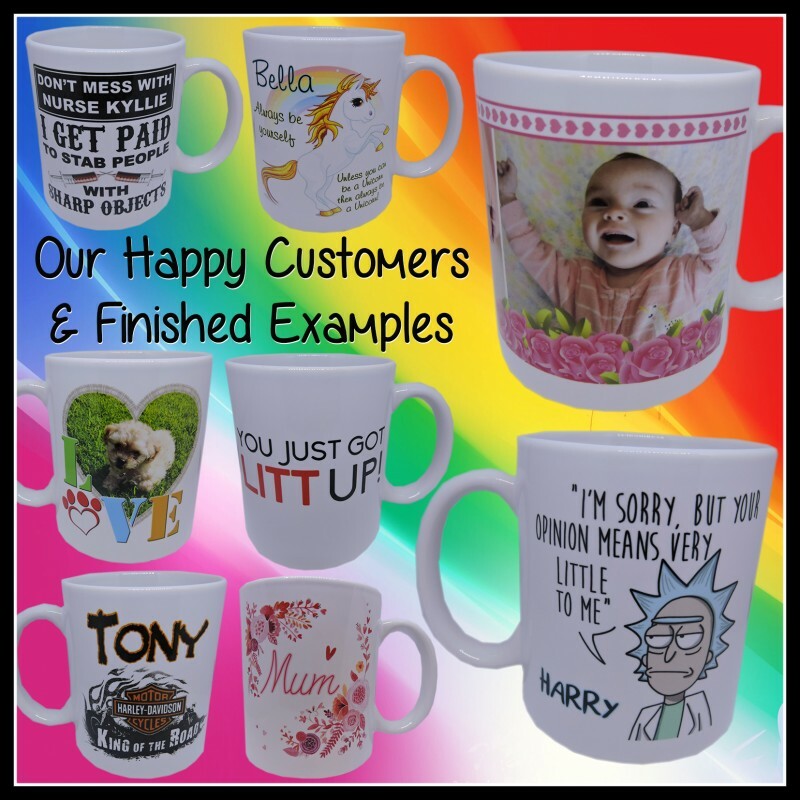 Scroll down to the 'Product Customization' section and enter the name you would like on your mug, or enter NONE if you would like the picture with no name added. 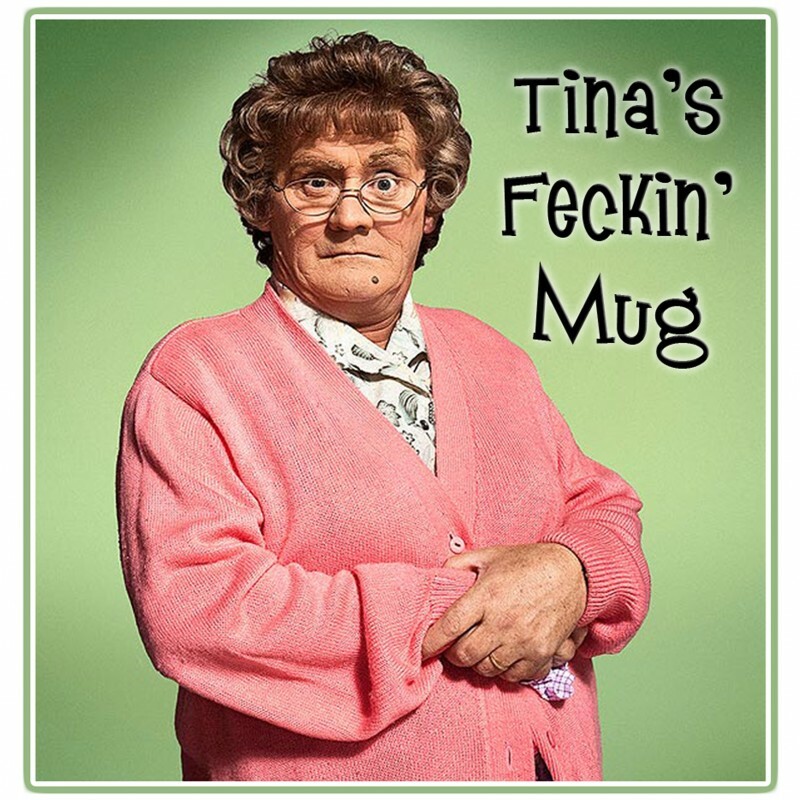 If you would like a personalised message on Side 2 of your mug instead of a design, enter that message here as well. Scroll back up and choose the design number you would like on each side of your mug from the drop-down menus. 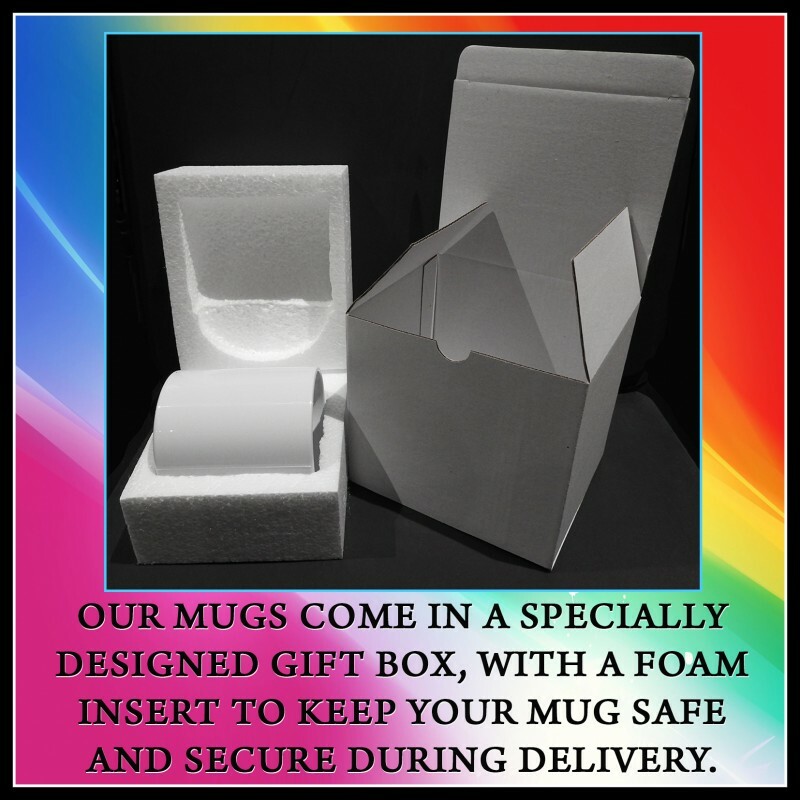 If you would like a personalised message on Side 2 of your mug instead of a design, choose 'Personalised Message' for Side 2. 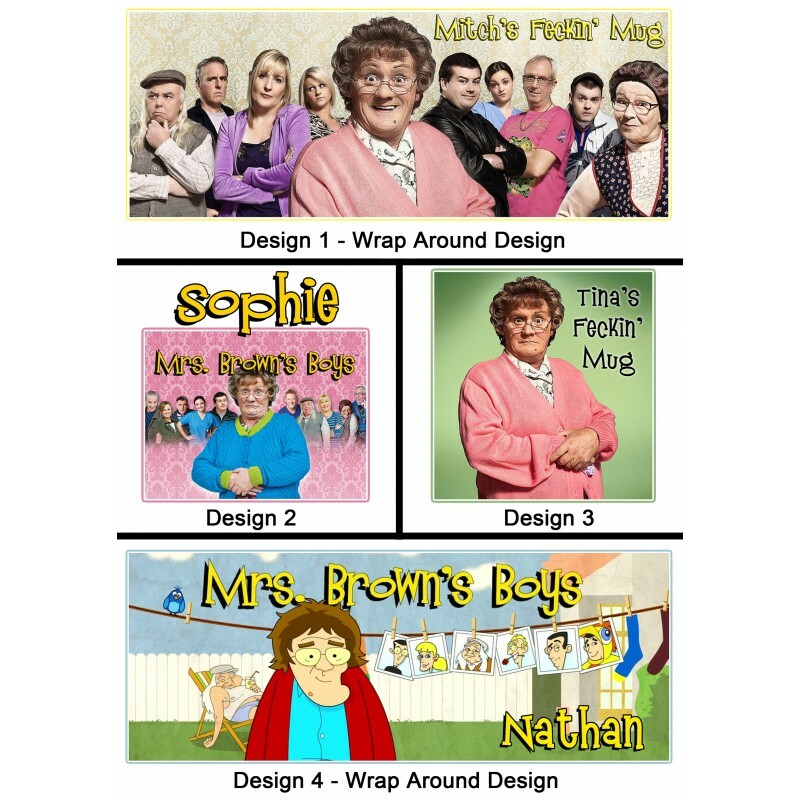 If you would like a Wrap Around design, choose that design for Side 1, and 'Wrap Around Design' for Side 2.